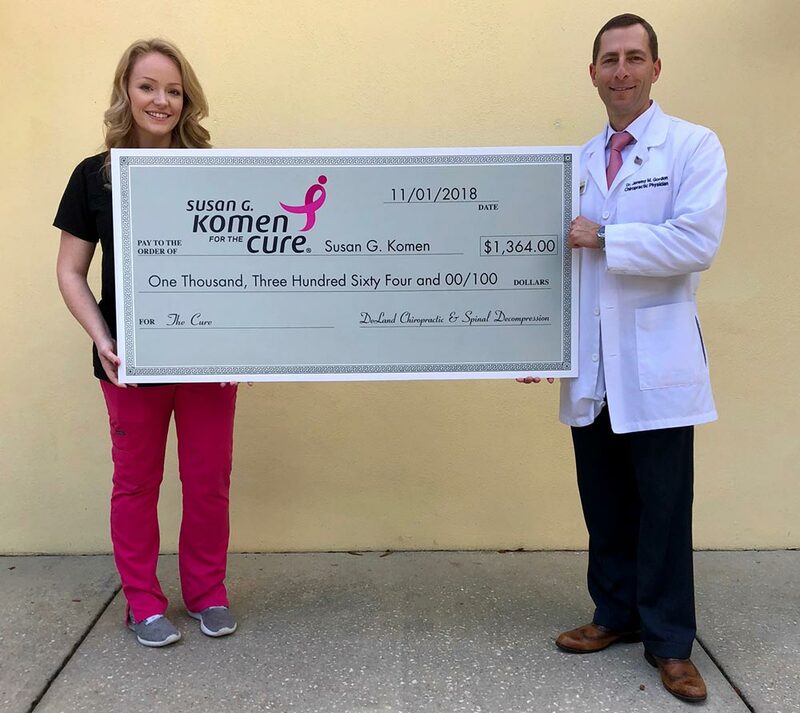 The Susan G Komen is a foundation whose goal is to continually save lives by meeting the most critical needs in their communities, and investing in breakthrough research to prevent and cure breast cancer. 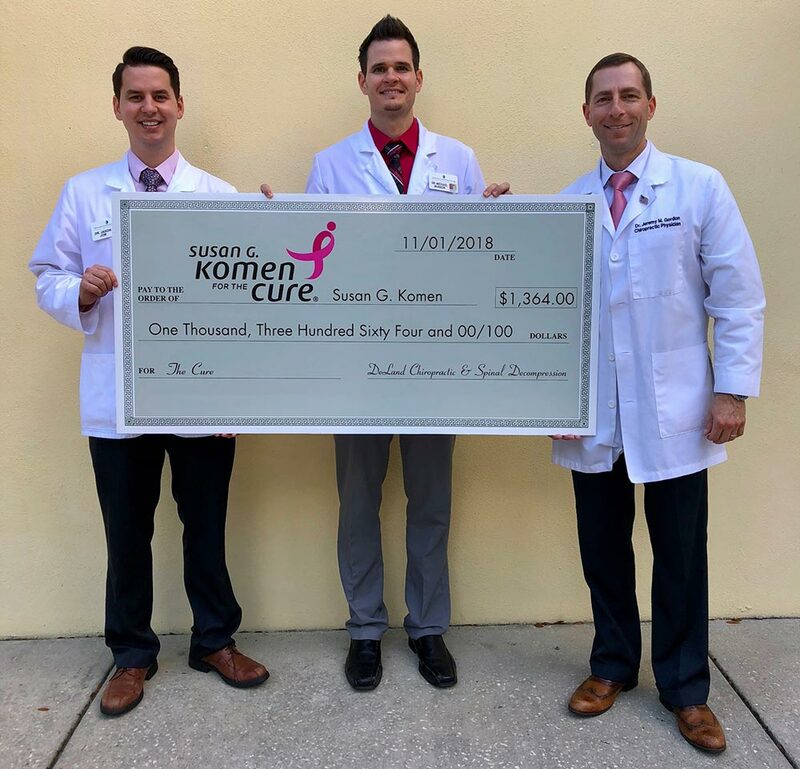 DeLand Chiropractic & Spinal Decompression is once again privileged to honor the memory of Sheila Dunn, our Patient Care Coordinator - Kimberly Dunn's mother, who passed away from breast cancer last year. For October 2018 we have donated $1,364.00 to Susan G Komen for the Cure foundation to help find a cure for this dreaded disease that affects so many women across this country. 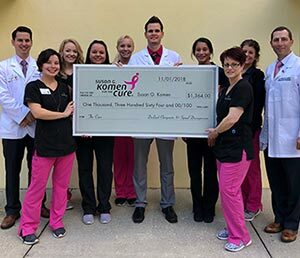 In honor of our patients and family members suffering with this dreaded disease, during the month of October 2017, DeLand Chiropractic & Spinal Decompression donated a portion of each patient office visit to breast cancer research. 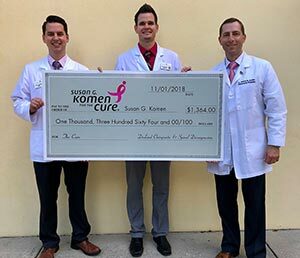 With the help of our friends, patients, and families, we were able to raise $983.00! Journey’s End is an animal sanctuary that provides lifetime care and shelter for dogs, cats, horses, pigs, sheep, and birds that have been abused, neglected or have special needs. Rather than emphasizing adoption, Journey's End provides a homelike setting where animals can enjoy the remainder of their lives in a comfortable, loving atmosphere. 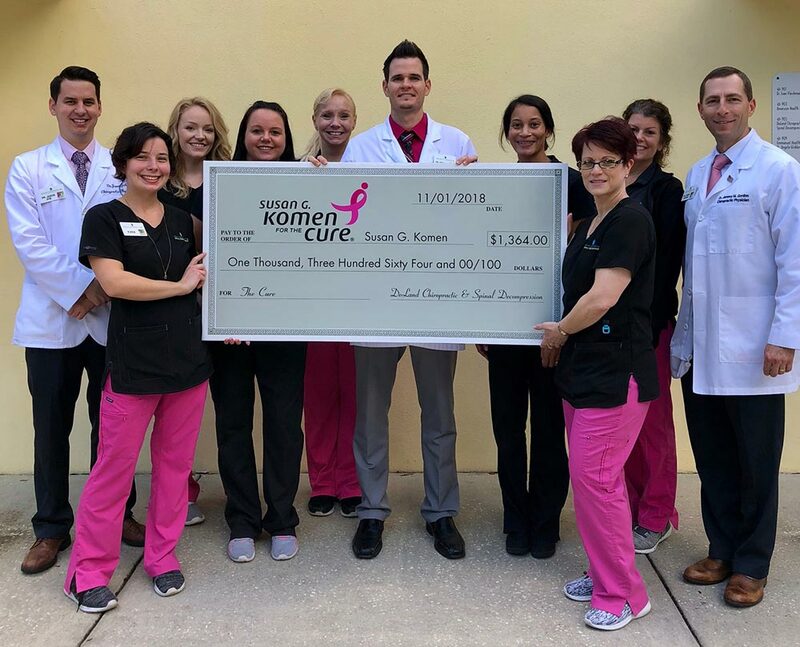 During July 2018, DeLand Chiropractic & Spinal Decompression is partnering with Journey's End Animal Sanctuary to help gather much needed supplies for animals who have been abandoned or neglected. We will be collecting the list of supplies below at our office between 7am - 7pm, Monday through Friday. Dog Food - 4health Healthy Weight Formula or Blue Buffalo Healthy Weight Food - canned or dry. Milk bone dog biscuits (small & medium). Cat Food - 4health Healthy Weight Formula or Blue Buffalo adult cat food - canned or dry.